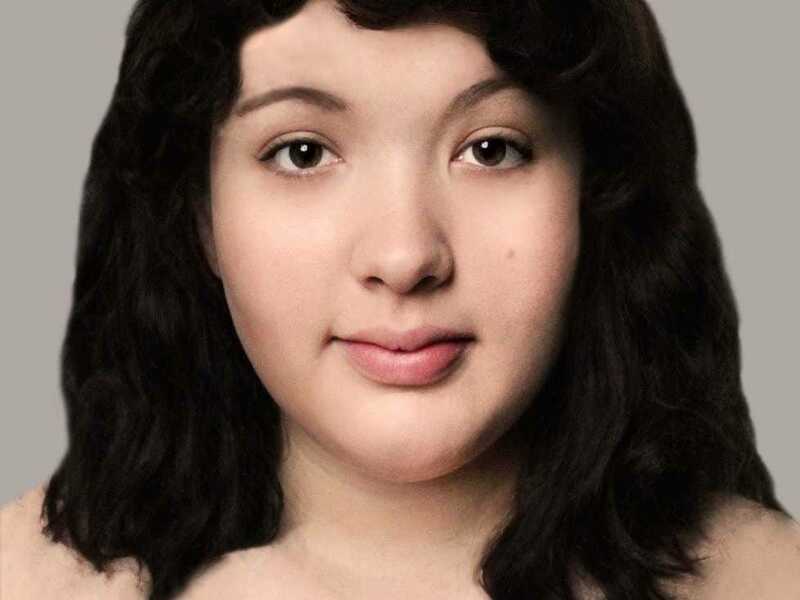 Lookism: Plus-Sized, bi-racial women photoshopped. 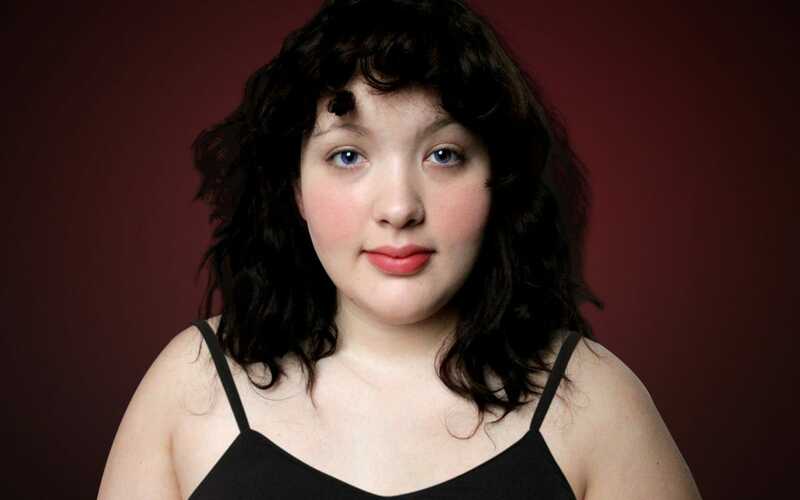 Lookism: Plus-Sized, bi-racial women photoshopped ’round the world. Last year in June, a freelance journalist asked artists from 19 countries around the world to photoshop her face with instructions to make me “beautiful.” The hope was that in altering her face, the artists and/or designers involved in the project would (subconsciously?) access their personal and cultural constructs of beauty. 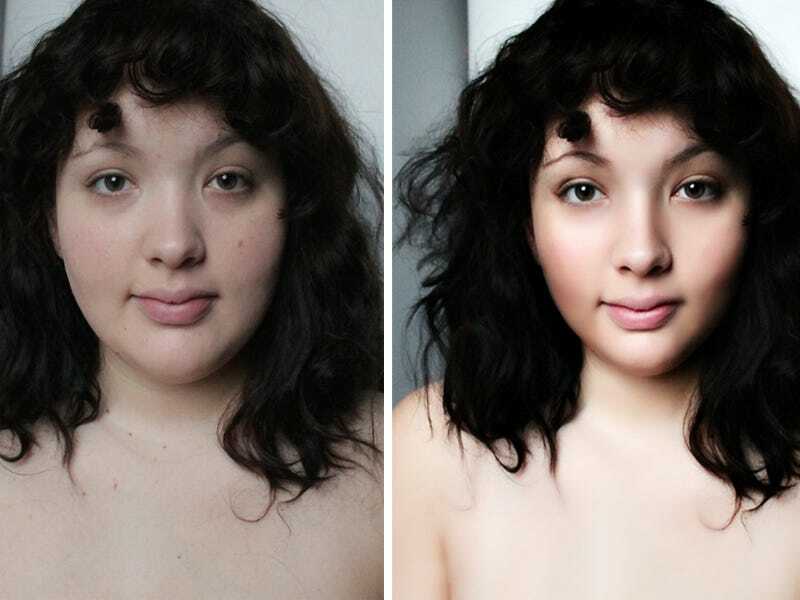 The results of the “Before-After” effort went viral, and the journalist was written up in Time and the Chicago Tribue and appeared on CNN and several morning TV news shows in the US. The journalist’s biracial friend (Japanese mom, Black dad) then repeated the same “experiment,” and came up with similar interesting results. See here for “biracial beauty” concepts. It was only a matter of time before others got into the act. Bustle Magazine’s Marie Ospina decided to do a similar experiment, but probing reactions to being “plus-sized.” Some of the resulting images are included below. Intriguing and insightful in their own right, each image is a reflection of both the personal and cultural conceptualizations of good looks that the photo shopper carries. While the results are only the creation of the photo shoppers, it’s fun to generalize about the national influences they’ve each been subjected to. The Ukraine altered the model to look a tad like Kim Kardashian. Is this because Kim comes from Armenian stock and Armenia is not too far from the Ukraine. Have the Ukrainians internalized some “ideal woman” based on Armenian looks? Mexico glamorized her the most of the bunch. Shades of/Channeling Reminding one of the ubiquitous pretty women on all Spanish TV channels in the US. Unlike the provocatively dressed women on much Spanish TV programming , the respondents in Mexico put a dress on her. Likewise, Pakistan put a dress on her—perhaps reflecting Muslim modesty. At least they didn’t give her a burka. Only Ukraine, Mexico, and Latvia out of the bunch made Ospina look visibly thinner. Conclusions about plus-sized women and lookism. This totally informal, completely unscientific effort does offer hope. Maybe lookism isn’t running rampant. Perhaps, people are more willing to look beyond chubby faces and zaftig countenances to see the real essence of a person. Already a few American TV shows feature plus-sized, even obese women. Courtesy of Marie Southard OspinaOspina’s picture was Photoshopped in 18 different countries.